They Ban Dangerous Weapons…So Why Not Dangerous Dogs? I don’t live in Texas but my goodness, don’t they have strange Dog Laws down there?!.. ‘June O’Hara was attacked by two pit bulls near her home on Grandview West. At least three bystanders helped to get the dogs off O’Hara until animal control arrived. …Currently owners are only issued a citation for violating the leash law — even if someone is attacked. …Of the attacks, 13 were by pit bulls or pit bull mixes. The numbers also included four cats, four Chihuahuas and 19 other dog breeds. If you are caught shooting a gun into a crowd of people they don’t charge you just with possession, right? They charge you with attempted murder. A large dog, say a Pit Bull Terrier is far more dangerous and can do a lot more damage then a loaded gun.Surely the local legislators down there can work this out. Then there is the breed question. I am not the one to blame the breed outright but there is something odd about the disproportionate number of Pit Bulls involved in serious attacks. Banning a specific breed like pit bulls will do nothing, I know it seems like that what has to be done in order to stop the attacks and bites. Banning irresponsible owners WILL make a difference. We need to blame the irresponsible owners, not an entire breed or one dog. It’s a problem with the owners. Sure dogs may be susceptible to temperament through breed but that is because breeds these days have thoroughly been bred for certain purposes. Stricter rules need to be put on the owners and I believe that instead of outlawing these breeds, after a certain age they should under go a certified temperament test. If failed the owner must be required to attain certified training until the dog passes. We shouldn’t give up on a life because they are “tempered”. Btw the shelter I help out in had a 3 year old pit bull. He is one of the friendliest and happiest dogs I’ve ever had the pleasure of meeting. Hi Joe. You are right of course. The dangerous dogs are the ones which are not trained, socialised, etc. 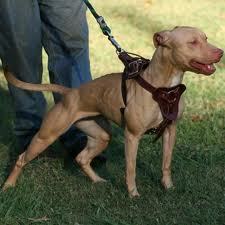 I am sure you would agree though that a strong dog, like a pit bull can do a lot more damage. There is still a disproportionate number pit bulls involved in attacks which concerns me. Yes I do agree. But the answer isn’t really banning them. It’s like saying “people from place x” are susceptible to “crime y” so we should ban them all. Doesn’t work that way. A solution needs to be provided to make both sides – the owners and the dogs and society happy. True a bite from a pitbull is a lot worse than a bite from a poodle, but that is only because of the physical characteristics. It’s like stabbing someone with a butterfly knife and a plastic butter knife. They both are two totally different worlds considering physical functionality. I do get what you’re saying though. I just think better solutions need to be found.